There are two basic styles of large wooden crates and pallets. The most common style in the United States is the stringer pallet. This pallet is built with 2x4’s that run the length of the pallet. The other style is a block pallet. 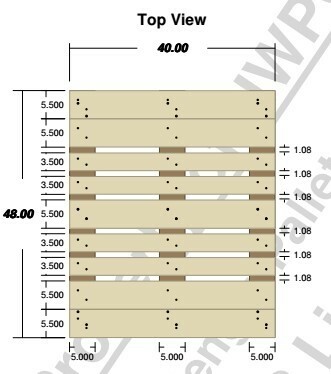 Block pallets use wooden blocks for supports between the top and bottom decks instead of a 2x4 stringer. The block pallet is most common in Europe and Asia. 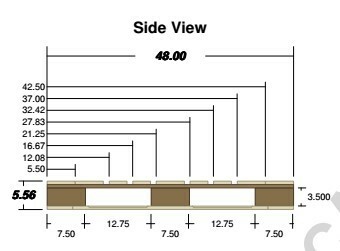 Block pallets have many different sizes and specifications. In fact, Costco requires that vendors shipping to them use a block style 48x40 pallet. We have the expertise to build block pallets as well as stringer pallets. These pallets have to be built by hand so they do require more lead time. Give us a call for a quote and we can discuss the options that may work best for your company. Wooden containers are often used to ship important products and loose materials. These can be simple boxes with lids that have hinges or doors that simply bolt onto the walls. Whatever your needs are for large wooden crates or bins, give us a call and we can help design and build the right crate for you and your business. As a leading provider of custom crate services, you wont find better products.